Ted Seward, ResponsePoint’s Director of Marketing and Business Development, shares his thoughts on how marketing and B2B marketing services have changed during his tenure in the industry. No big surprise— data is a critical part of marketing success. This is a breakout article of an interview article. Marketing has changed dramatically over the years, and it continues to evolve quickly. A surefire way to fall behind in the industry is to allow skills to atrophy and to ignore the latest B2B online marketing trends. A marketing professional must keep up with the evolution of the B2B marketing services industry. There are so many new tools flooding the market—which results in an acceleration of the desire for results. This comes not only from the new marketing channel and media types but also from the need to stay current and incorporate results into integrated. 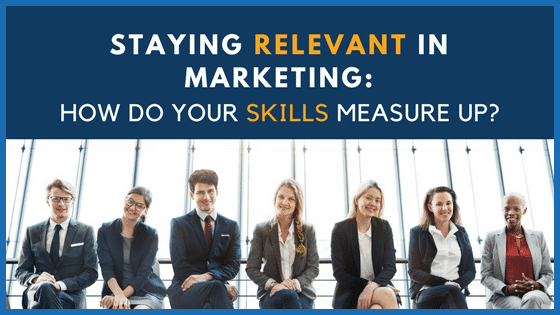 As a result, many marketing professionals will job hop, requiring them to consistently learn a new system or set of tools. In today’s marketing game, you need to possess the skill of self-promotion and be willing to accept change and learn. Do you have the skills necessary to contribute to the buyer journey? Do you understand the psychology of the buyer? Do you have a full understanding and authentic appreciation of what you’re selling? Be the expert, ensure your approach is not intrusive and be the educator and reliable source of information. Start with the fundamentals. You need a deep understanding of your buyer, who is more sophisticated and informed than ever (and influenced by peers). Develop an approach that is authentic, helpful and respectful, especially in your marketing automation strategy. Begin a dialogue that is based on informative and educational engagements, and discover the customer pain points and the solutions you can provide. Understand that there are no shortcuts to effective, authentic connection with your customer. Most importantly make sure if you don’t have the right resources, sills or talent look for a B2B marketing services company who can help. The top areas for skills gaps are in data analysis, customer insight, and digital marketing techniques. Marketing will continue to grow in leaps and bounds, changing with the world’s economy, trends, and needs. To have an effective marketing and sales program, and to be the most effective in your position, staying ahead of the game is crucial. Keep on top of data, news, B2B marketing tools, customer feedback and industry shifts. If you’re not willing to change and evolve, you will find yourself falling behind very quickly. Are you interested in learning more about what it takes to implement a smart, strategic data plan to give your ROI a big boost? Get in touch with the experts at ResponsePoint. We’d be happy to give you a free 15-minute phone consultation and answer any questions you may have. How to be great from the get-go: advice for young businesses. A budding business will often face the challenge of having to do more with less. Intrinsically this means you need to be resourceful, but it doesn’t mean you should hide behind a run-of-the-mill marketing automation strategy. Build relationships with a set of key freelancers, engaging them beyond a project basis. Hire the experts that can make your work better—don’t always go the route of getting the most for less money. Be flexible to operating with virtual teams. Success requires working quickly and wielding a broad spectrum of skills. Your new team will probably not have specialized experts for every position. You will find that loosening the parameters around a “typical” workplace opens up a lot of big opportunities. Don’t ever neglect the Human element of marketing. In fact, foster it authentically and you’ll be almost bulletproof. Sure, data is important, along with measuring and analytics. Make sure to leverage any B2B marketing tool to its fullest. But nothing replaces human interaction, and automating the process can weaken your connections. Data and applications need time to evolve. Don’t jump at the next best thing or shiny new toy. If a new offering intrigues you, test it elsewhere before trying to implement it in your own marketing technology stack. This is part of a 4 four-part blog series partially excerpted from an interview Ted Seward gave to Sword and Script. You can find the original article here. Trends over the past 10 years?